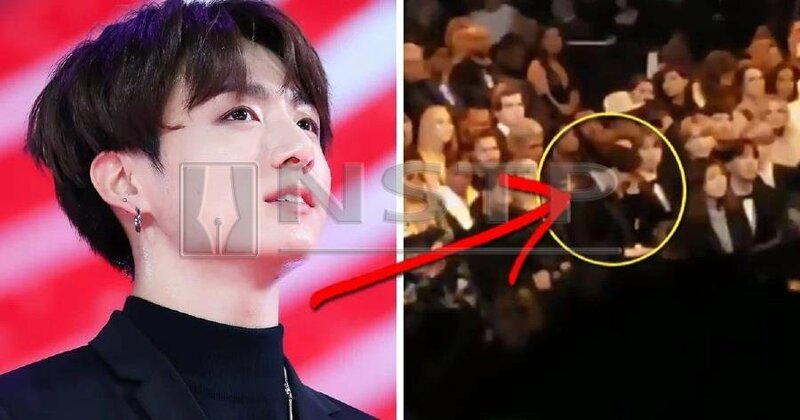 BTS member Jungkook was moved to tears during a rendition of Neil Young’s After The Gold Rush, performed by Dolly Parton and Miley Cyrus, at the recent Grammy Awards in Los Angeles, USA. Pic from Koreaboo. 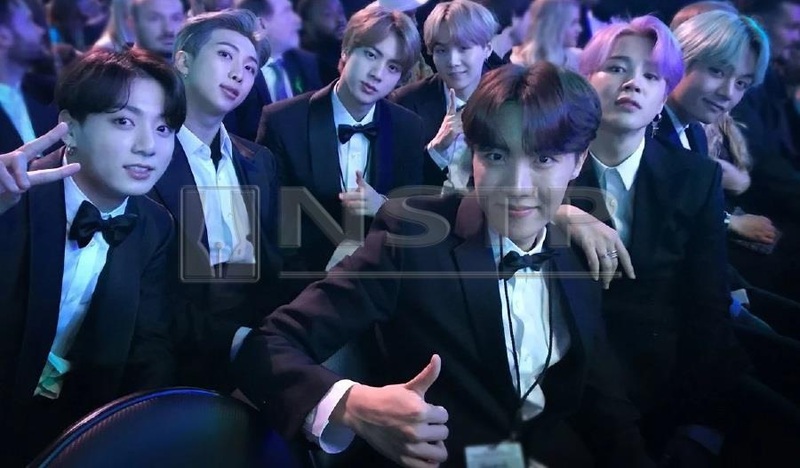 KUALA LUMPUR: It was a milestone moment for hot K-Pop group BTS who had attended the 61st Annual Grammy Awards in Los Angeles last Sunday. The popular music outfit presented the award for Best R&B Album to American singer-songwriter H.E.R., which made BTS the first Korean act to present a Grammy. While seated in the audience amongst the constellation of music stars, the seven members of BTS were also moved by the performances that took place that night. According to a news report in Koreaboo today, the boys were seen on camera jamming to a duet of Jolene performed by Dolly Parton and Miley Cyrus. The youngest BTS member, Jungkook, was clearly seen singing along to the performance. But the fresh-faced 21-year-old idol also got emotional later during a moving rendition of Neil Young’s After The Gold Rush, which was performed by Parton and Cyrus as well. A fancam recording apparently captured Jungkook wiping away his tears during the performance. What made it even more memorable was when his fellow members started to laugh and tease him after realising that he had shed some tears. Another notable occasion that showed BTS had prioritised its fans, lovingly dubbed Army, was when the group held a special livestream from its hotel after the Grammys instead of attending the usual after-parties attended by Hollywood celebs. BTS had apparently hosted similar hotel parties following the 2017 American Music Awards and the 2018 Billboard Music Awards. Unfortunately, this particular private after-party for the Army did not really go as planned. The main hitch came in the form of a huge wave of virtual guests who flooded the livestream’s website and app the moment BTS had released a notification that the event was taking place. Apparently, the massive amount of fans caused the broadcast to go off-air in less than five minutes. Fans waited patiently and thankfully, the livestream finally aired sometime later without any other issues cropping up. BTS presented the award for Best R&B Album to American singer-songwriter H.E.R. at the recent Grammy Awards, which made the popular K-Pop group the first Korean act to present a Grammy. Pic from Koreaboo.